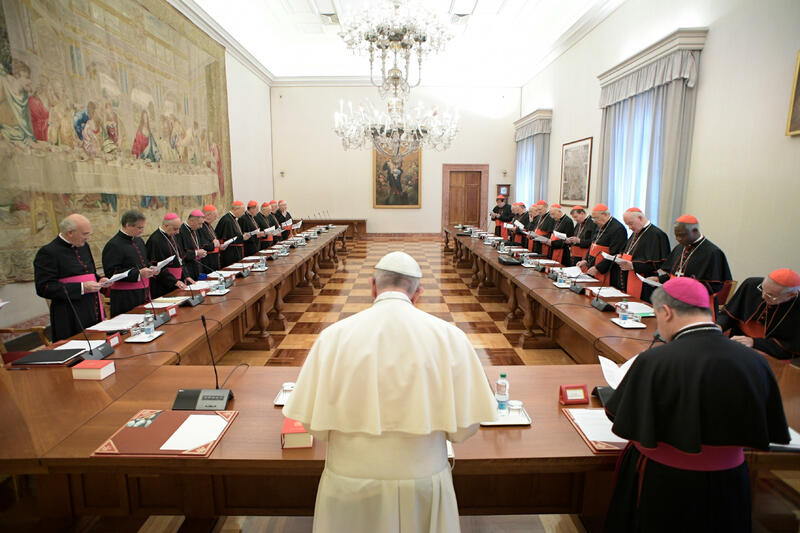 On November 13, 2017, Pope Francis met with the Heads of the Dicasteries of the Roman Curia in the Bologna Hall of the Apostolic Vatican Palace, reported the Holy See Press Office, without giving any details on the meeting’s order of the day. It was the ninth meeting of this nature, over which the Pontiff presides twice a year. According to the Italian online site of Vatican Insider, on this occasion the participants reflected on vocations, discernment, formation of seminarians and priests, stemming from the document of the Congregation for the Clergy entitled “The Gift of the Presbyterial Vocation” (Ratio Fundamentalis Institutionis Sacerdotalis), published in December 2016). The 93-page document paints a portrait of tomorrow’s priests: neither hypocrites nor rigid, having a sense of beauty. The priest will diagnose the specific temptations in the exercise of the ministerial priesthood: the experience of “personal weakness,” “the risk of feeling himself a functionary of the sacred,” “the challenges of the contemporary culture,” “the attraction of power and wealth,” the challenge of celibacy,” “the total dedication to the ministry,” which can be blunted with time (n. 84). Pope Francis expressed the qualities to be cultivated: “humility, courage, a practical sense, magnanimity of heart, uprightness of judgment and discernment, tolerance and transparency, love of truth and honesty” (n. 93).